The Food Safety Modernization Act now requires greater transparency from the entire supply chain and fundamentally changes the way food is regulated in the U.S. and abroad, from farm-to-fork. Additionally, the Food Supplier Verification Program (FSVP) shifts certain food safety responsibilities from the government to food companies. Now that companies shoulder much of the burden, proactive measures are essential. 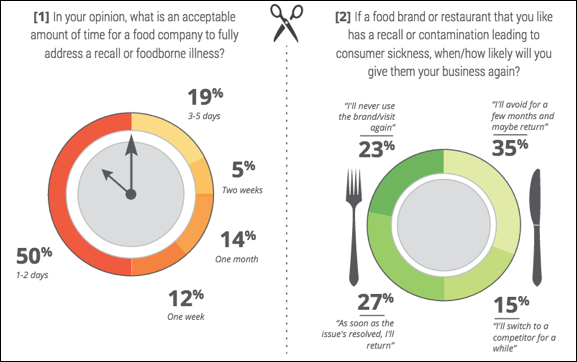 FoodLogiQ and 1WorldSync, the leading provider of product content solutions, have published a survey that reveals supply chain transparency by food companies is a critical driver in consumer purchasing decisions and brand loyalty. Commissioned by FoodLogiQ, A Food Company’s Guide to What Consumers Care About in the Age of Transparency found that 54 percent of respondents want as much information as possible on the label, and nearly 40 percent want country of origin, allergen alerts and GMOs all identified on the label. 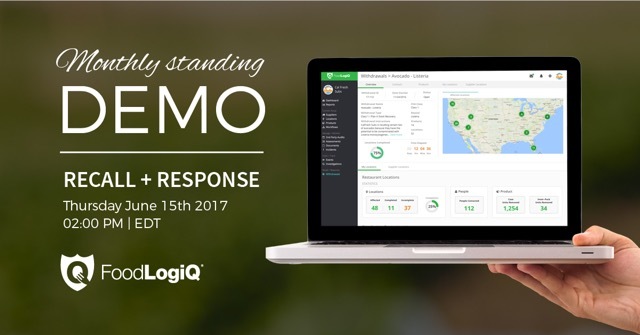 We invite you to join our demo of Recall + Response, the first-of-its-kind recall management solution. This is the food industry’s first and only real-time, SaaS solution for recall and stock withdrawal management. This free demo will take place on Thursday, June 15, 2017 at 2:00pm EDT and registration is required. We are excited to announce the addition of Julie McGill to the role of Director of Implementation and Strategic Account Management. 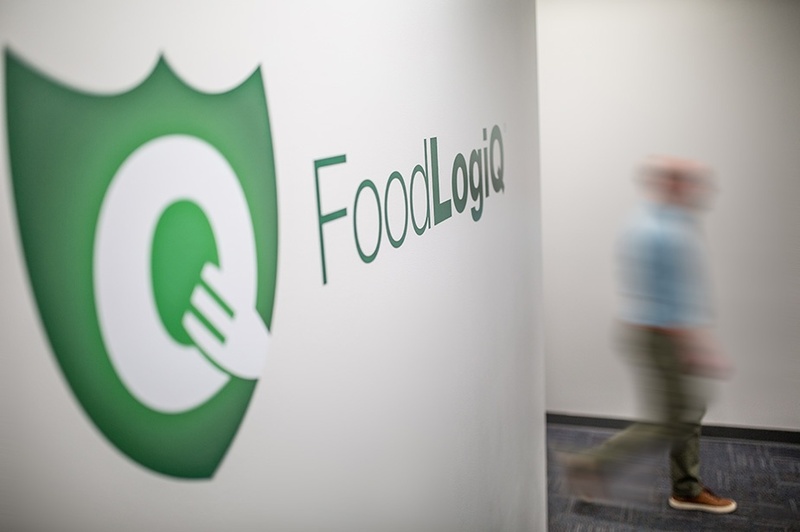 As food companies face mounting demands for traceability and supply chain visibility, this newly created FoodLogiQ position will support their needs and increase their speed to value.